Welcome to Sacred Union Sound Healing with Kelly & Stuart. Sacred Union – The Sacred Marriage within you. Liberate, awaken and balance your feminine magic and your masculine power in this ancient Sound Healing Ceremony. 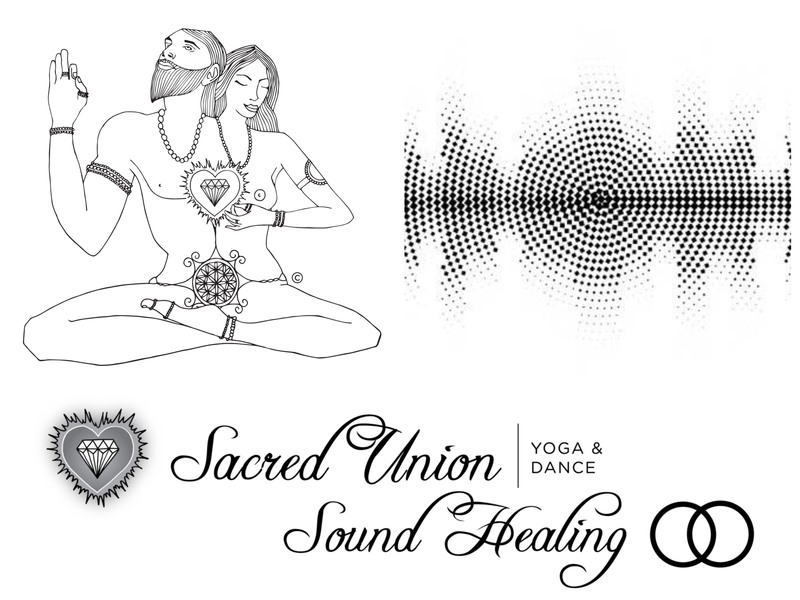 In Sacred Union Sound Healing you will engage in the dance between the Feminine and Masculine to reach the point of complete union and oneness within yourself. The ultimate practice of Self-Love. Each of the aspects of the Sacred Feminine and Sacred Masculine reside within us (both men & women). They play out in our lives in either Light or Shadow. By giving these aspects a space to be truly felt, seen, expressed and acknowledged you create sacred balance -the Sacred Union within yourself. In this Sound Journey Kelly & Stuart will take you into the realms of the Sacred Masculine through Sound, then into the realms of the Sacred Femeinine through Sound and then will bring them into Union together inside of you through Sound! Further to the ancient sound tools, their most potent Sound Healing instrument is their Voices… Two Twin Flames opening their channels to allow the healing sound to vibrate through their Vocals… and when you experience these two voices together…. thats when you step through the Sacred Thresholds into your own Unconditional Sacred Union Love within. In this Sacred Union Sound Healing Ceremony you will create and initiate a powerful intention for yourself and your life and you will have the opportinity to open into the Sound and the Sound of ‘who you are’. Kelly & Stuart are Twin Flames & Soul Partners on Life Purpose. Kelly & Stuart are here to raise the vibration of the planet. They are here to work with those who are ready to get out of the Matrix, to forget everything they have ever been told and to travel their own inner road back to their own ancient wisdom and the wisdom of their ancestors. Every booking made online contributes $.85 to the Kari Foundation.